Being a Caregiver is certainly is a life-changing experience and it can be a life-affirming experience. Uncontrolled pain at the end of life can push all other priorities aside. 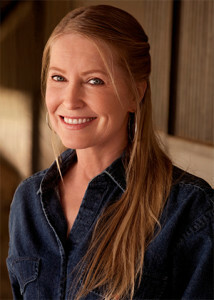 We’re fortunate to have as our guest, Lisa Niemi Swayze. She and her husband, actor Patrick Swayze were married for 34 years until his death from pancreatic cancer in 2009. Lisa gives us a rare glimpse into what it was like to care for Patrick during the last 22 months of his life. Her experience is brought to light in her book Worth Fighting For. Posted in Cancer, Caregiving, Celebrity Interviews, Premium, Radio Shows.